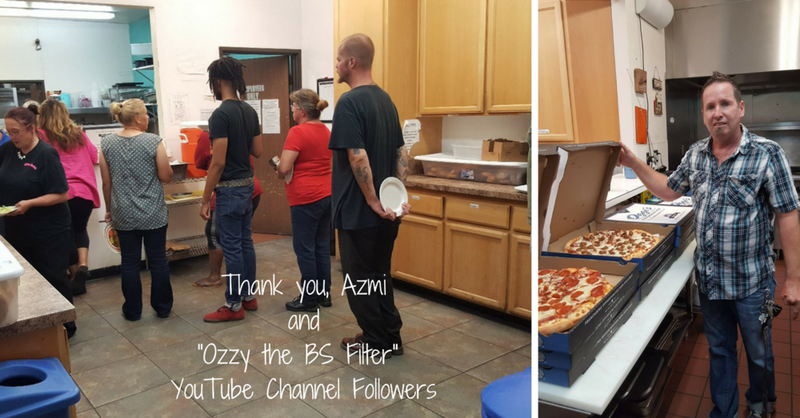 Smiles Courtesy of Azmi and "Ozzy the BS Filter" YouTube Channel Followers — High Desert Homeless Services, Inc.
High Desert Homeless Services, Inc.
VICTORVILLE - Grateful smiles could be seen all around the High Desert Homeless Shelter on Tuesday evening. On Tuesday afternoon Waldron went to the Simple Auto Sales location at, 17085 Bear Valley road in the City of Hesperia for the meeting with Alsanam. When arriving he was aware that he would be on the YouTube Channel live to accept a check collected of funds collected by Ozzy the BS Filter channel followers and matched by Alsanam but was surprised to find out the check was in the amount of $1000. 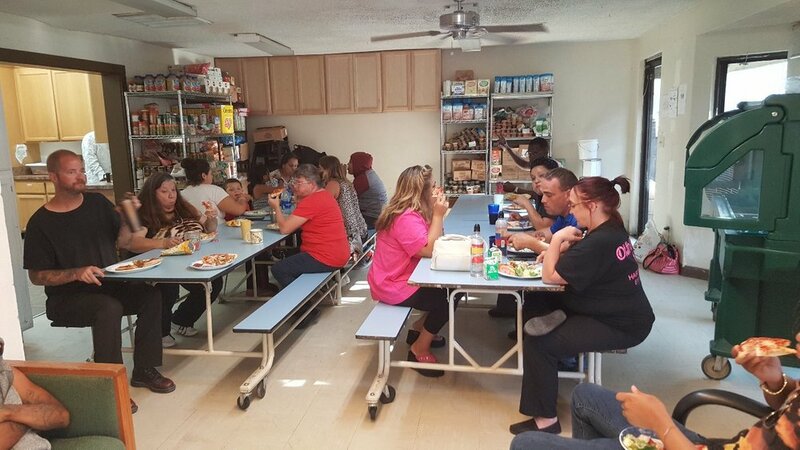 While there, Alsanam, who has provided ongoing donations and as-needed assistance to the shelter and the shelter’s clients asked that a portion of the check went to purchasing pizza for all of the clients. 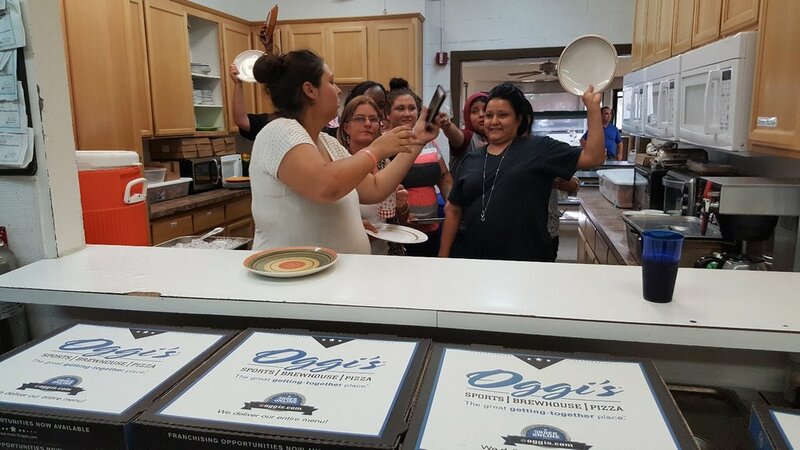 As requested, Waldron ordered enough pizza for all of the clients at the homeless shelter at Oggi’s Pizza. The shelter cook was also grateful to have an easier day, only having to make a giant salad and serve the clients, thanks to Alsanam and those who donated. Excited clients lined up to get their pizza, some coming back for seconds and thirds. All asked that Alsanam was thanked on their behalf. Alsanam said that he will be accepting donations on behalf of High Desert Homeless Services and will continue to match the donations. He agreed to pay every time the donation reached $500, or $1000 combined with his matched contribution.